James E. McHugh – born October 16, 1947 in Washington D.C., the son of Col. James McHugh and Alice Zeiler McHugh, and younger brother to Nancy McHugh. Jim was raised in Virginia, with some time spent in Germany and Tucson. In 1966 Jim entered the Army as a Private, he was sent to Officer Training and in 1967 was commissioned a First Lieutenant. Jim served in Viet Nam and was discharged in 1969 as a U.S. Army Captain. Jim went to work for the Veteran Administration in D.C. and transferred to the Phoenix office in 1974. Not one for indoor office work, Jim quit the VA to start his own business and enjoy the outdoors. He started Mostly Tennis and taught tennis at Kiwanis Tennis Center and Gene Autry Sports Complex. He also coached girls’ tennis at Gilbert HS, Highland HS, and lastly at Westwood HS. 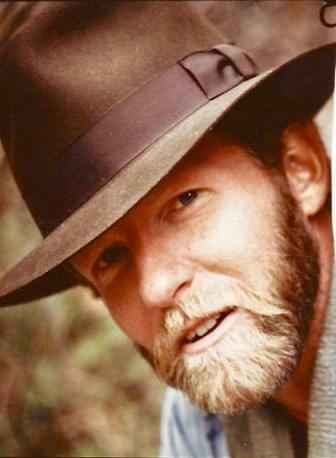 Jim was an avid outdoorsman enjoying running, hiking, camping and tennis. Jim lost his battle with Melanoma December 8, 2017. He is survived by his sister; Nancy McHugh and long-time friends Al, Carolyn Sinclair and family; Ed, Adrienne and Paige Sloat and Amy Novotny. A Celebration of Jim’s Life will be held at 1 p.m. February 3, 2018, at The Falls Event Center, 4635 E Baseline Rd, Gilbert, AZ 85234. Offer Condolence for the family of McHugh, James E.
Jim was the best tennis coach in the entire world. I’m not the best player, but he never lost patience with me and always had time to help me out. It was obvious that he truly, genuinely cared for everyone on the team, and we felt that. We all miss him so much–from his little “Jim-isms” (80% of life is showing up, etc.) and turns-of-phrase to his lifetime supply of Adidas shoes, neon shirts, and tall hats. I’ll never forget him or the things he taught me. Tennis won’t be the same without our “tall nasty guy” out on the courts. Thank you so much for everything Coach. I miss you. I am so sorry for all of your loss. I will be there tomorrow.